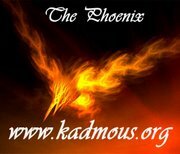 SAMA: Will The United Kingdom Thrown Fall? The H5N1 strain of avian influenza, first identified in China, has reached nearby France where in the past week two dead ducks were diagnosed as carrying the virus. The British government now says that bird flu is likely to arrive in the country. 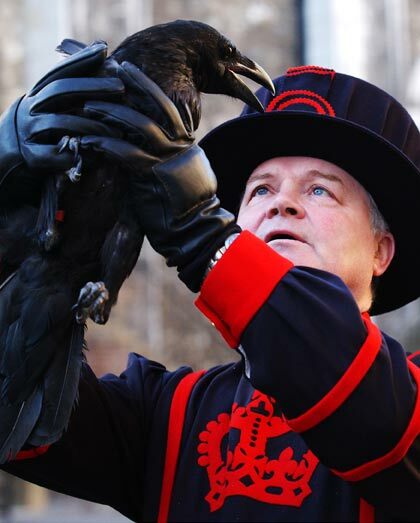 English legend says that a terrible evil will befall the kingdom if the Tower of London loses its ravens, which have lived at the landmark for more than 300 years. "The legend goes back to the early part of Charles II's reign," said the Tower's raven master, Derrick Coyle, who looks after the birds. King Charles II, who reigned from 1660 to 1685, decreed that at least six ravens should always be kept at the 11th-century fortress that sits on the River Thames. The Tower, one of Europe's top tourist attractions, also houses the Crown Jewels. Coyle, 61, says the ravens have been confined for both their own safety and that of the nation. The Tower's current resident ravens—Baldrick, Branwen, Gwyllum, Hugine, Munin, and Thor—are usually seen strutting about the Tower's green where they are popular with sightseers. "A lot of visitors are asking where the ravens are, but when we explain the reason why they've been put away, they completely understand," the raven master said. The birds, whose wings are clipped to prevent them flying away, have been moved to aviaries in one of the royal palace's towers. "They're being kept in a big airy room with lots of light and fresh air. They're doing very well in there," Coyle said.